NEW, NEW, NEW! Available NOW for 2019 Season or long term. 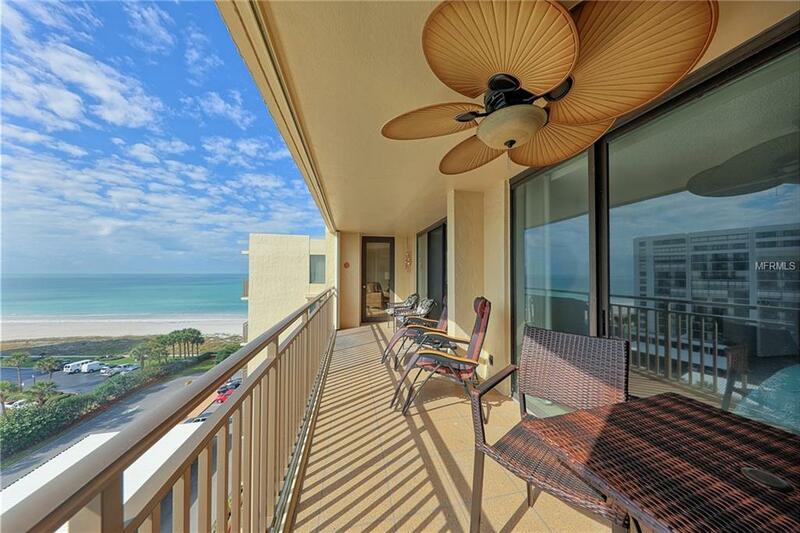 Enjoy this beautiful, newly renovated Sand Key PENTHOUSE Condo located in Clearwater Beach, Florida. Walk through the double door entry into this 8th Floor, over 1,600sf unit with 3 large bedrooms and 2 full baths, new contemporary furnishings, and artistic dcor. Relax on the 23 foot deck with breathtaking views of the sunset over the Gulf and Mexico and the sunrise over the Intracoastal Waterway. Take it Easy sleeps 6 and comes with 2 assigned parking spots, one underneath the building, the other under a car port. The large, fully equipped kitchen features stunning granite countertops. This beach front building offers direct access to the soft white sandy beach on the Gulf of Mexico. Walk out more than 100 feet in waist-high water into the tranquil ocean. After unwinding on the beach, rinse off in one of the outdoor showers or use the full bathroom/beach showers inside the building. This gated community offers peaceful, beautifully landscaped grounds, a large heated pool, tiki huts, and a workout facility. Its walking distance to the Shoppes on Sand Key with dining including the famous Columbia restaurant, a pizza place, breakfast restaurants, an ice cream shop, boutique clothing stores, and a nail salon. Hop on the Trolley stop in front of the Condo, to go to endless restaurants, shops, and activities. Sorry, no smoking or pets. Annual lease $3,600/mo; Seasonal Jan-Apr $4,200/mo, May-Oct $3,800/mo, Nov-Dec $4,000. Call today for more details.